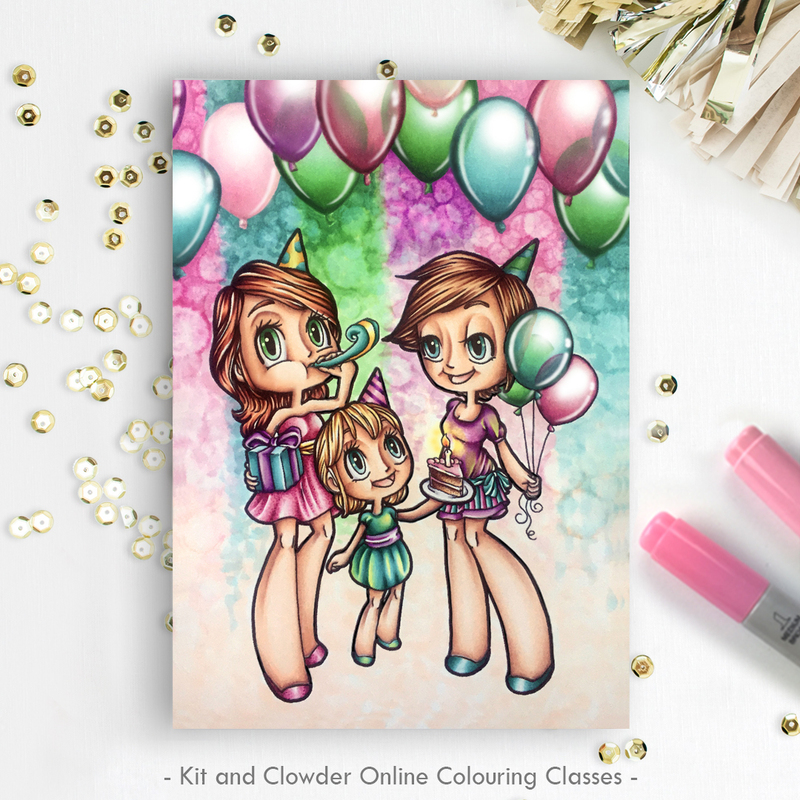 Learn to colour Space and Birthday Party scenes! Our latest colouring class project is here! 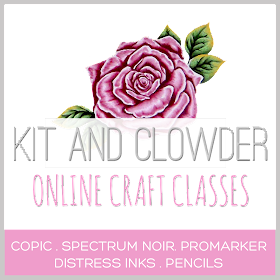 Join me this month in colouring some beautiful images by Some Odd Girl as we look at versatile techniques that can be applied to so many images in your stash. Look beyond just the images we are colouring today as you grow your colouring skillset to learn for all of your stamps, colouring books, and images. Our Monthly Classes are always access forever once purchased, so continue learning at your own pace when needed. 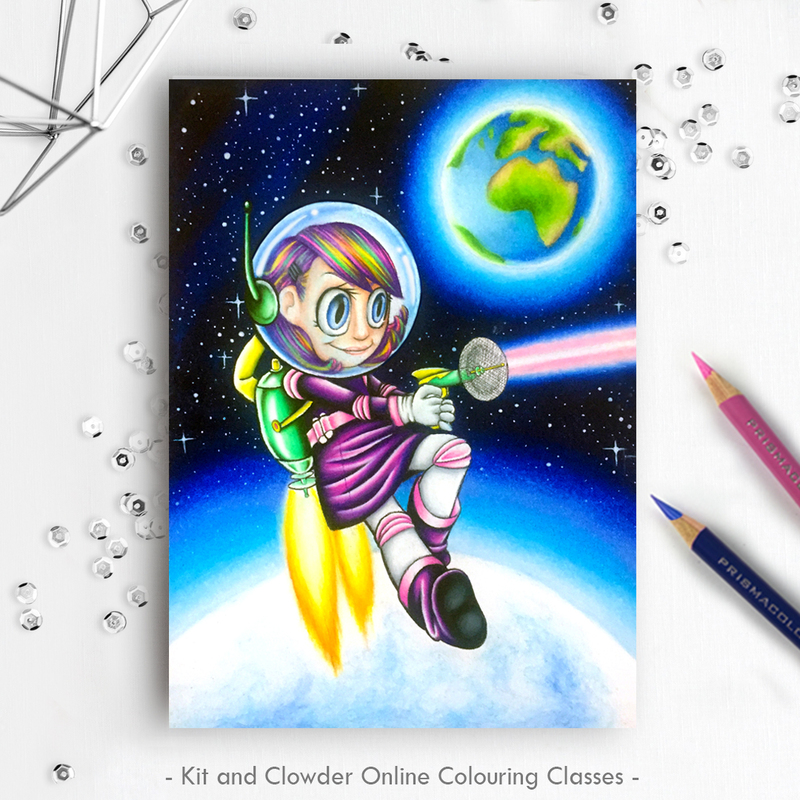 In our Pencils class, I will show you how to break down beautiful night skies, glowing objects, metals, glass, flames, and super simple rainbow hair that can be applied to any image. 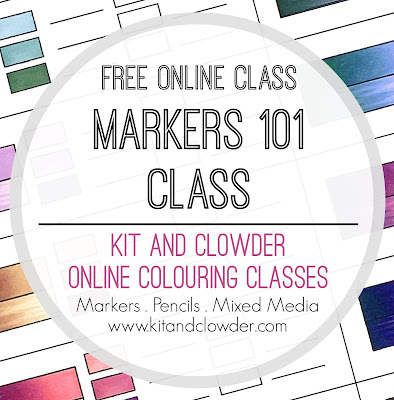 Our Markers class will give you some great practice at Skin and Hair, Clothing textures and colour blends, balloons and transparency, and simple backgrounds that can be applied to any image to create a party atmosphere. During the month, we will be making up some fun cards with these colouring pieces too! I can't wait to share these with you! Are you a beginner? Yes, you can absolutely join in too! Finished projects with lots of techniques can look scary and overwhelming as a lot of the techniques are new. Our classes are always broken down to the very basics, and even if you do find something difficult, I am just an email or message away and more than happy to spend as much time as we need to help you feel more confident :) It's important to manage your expectations and remember that classes are about learning new techniques and sometimes making mistakes in order to step forward, but we should never aim to be perfect. Tried one of our Monthly Classes before? Just like how our colouring takes practice, so too does the teaching of it :) I'm confident that you will enjoy our latest class and find it easy to follow with great instructions! I feel that after two years of teaching our Monthly Classes that this is our best one yet with easy to follow instructions and navigation on the computer! Hope to see you all join in with this one! Tiddly Tuesday + Tiddly Stamps! Colouring Tutorial : Alcohol Backgrounds!